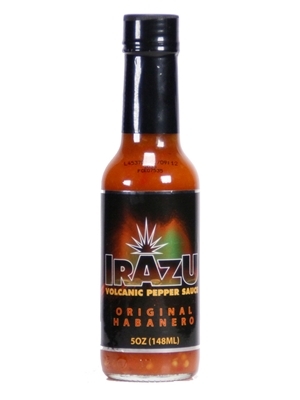 Irazu Volcanic Pepper Habanero Crushed Pepper Sauce is a thick sauce produced with fresh, ripe red habanero peppers. The peppers are cleaned, crushed, and blended with other fresh vegetables, lemon juice, onions, garlic pulp and more, producing a flavor punch like your taste buds have never experienced. Irazu Volcanic Pepper Habanero Crushed Pepper Sauce is produced with great care in small batches, using produce obtained from contract farmers, ensures the highest quality, most flavorful sauces on the planet! 5oz.